Bayern Munich capped off a stellar season with a 4-1 win over Freiburg on Saturday as they romped to another Bundesliga title. 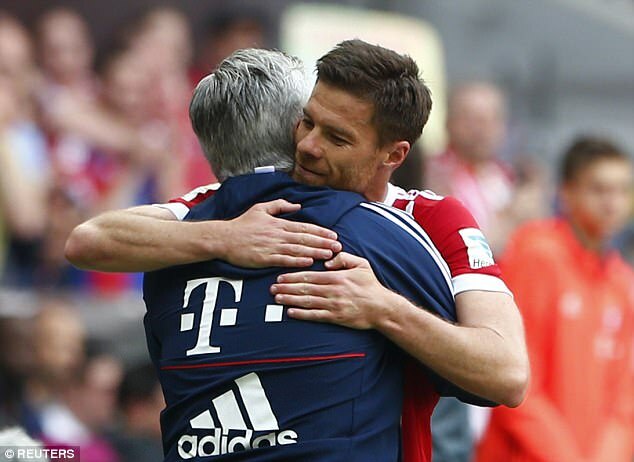 It was certainly cause for celebration – especially for manager Carlo Ancelotti. The Bayern boss took to the stage with pop star Anastacia during the club’s title-winning party. The Italian performed a rendition of ‘I Belong To You’ by Eros Ramazzotti and the crowd were all smiles as they watched the decorated manager on stage with the famous singer. Anastacia, who was a guest of honour at the party, clearly enjoyed the performance and burst out in laughter during the duet. It was a night of celebration for the club which continued into the city. The manager grabbed the microphone again to sing another song, this time Renato Zero’s ‘The Best Years Of Our Lives’, from a balcony overlooking Marienplatz. The German giants finished 15 points ahead of their nearest rivals RB Leipzig after another impressive campaign – claiming their fifth league title in a row. But it was also a little bittersweet as Bayern also said goodbye to two footballing giants in Philipp Lahm and Xabi Alonso. 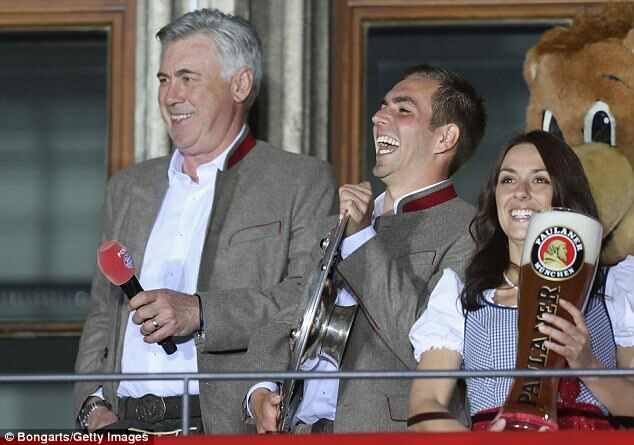 And the celebrations were certainly fitting for the legends – with Lahm in particularly high spirits as Ancelotti belted out the tune from the balcony.